Days after 9/11, president George W. Bush summed up America’s looming battle against al-Qaeda: “This crusade, this war on terrorism, is going to take a while.” Nearly 10 years later, the war still rages. 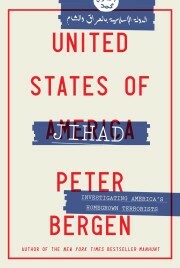 U.S. terrorism expert Peter Bergen pulls no punches in his compelling analysis of the War on Terror’s first decade. Far from cheerleading, he sizes up both sides’ successes and failures, from Iraq to Afghanistan, leaving no doubt that unconventional warfare has truly gone mainstream. The still-at-large Osama bin Laden epitomizes this David vs. Goliath approach to warfare. But Bergen explains that despite al-Qaeda’s unconventional fighting style, its strict command structure made it “the most bureaucratic terrorist organization in history,” complete with application forms and volumes of paperwork typical of a movement run from an office, not a cave. Yet despite the U.S. military’s sustained campaign against al-Qaeda’s “ofﬁces” in Afghanistan, Bergen argues that the cancer of violent jihad has already spread. “Leaderless jihad,” or compartmentalized terror cells acting independently, has created chaos on multiple continents. London’s 7/7 bombings, the Mumbai massacre and the Fort Hood killings are prime examples. Smaller, nimbler and less predictable terror cells may prove even more difficult to stop. Bin Laden may be hemmed in, but his message is not. That bin Laden has eluded the Americans for so long is astounding. Although his luck is not guaranteed to hold, with U.S. forces slowly dialling down in Afghanistan, he may still have a chance.